Hello and Happy Early Autumn :)! My cards today were created for Papertrey Ink for their Simple to Spectacular feature. We were assigned the Embellished Elegance stamp set and challenged to take it from Simple to Spectacular. Since I have a very hard time with Simple, let's go backwards and start with my final card. I used the Embellished Elegance stamp set and dies on this card, layering my images and die cut/stamped images over a die cut Autumn Pumpkin. I love the depth and dimension that stamped and die cut images give. 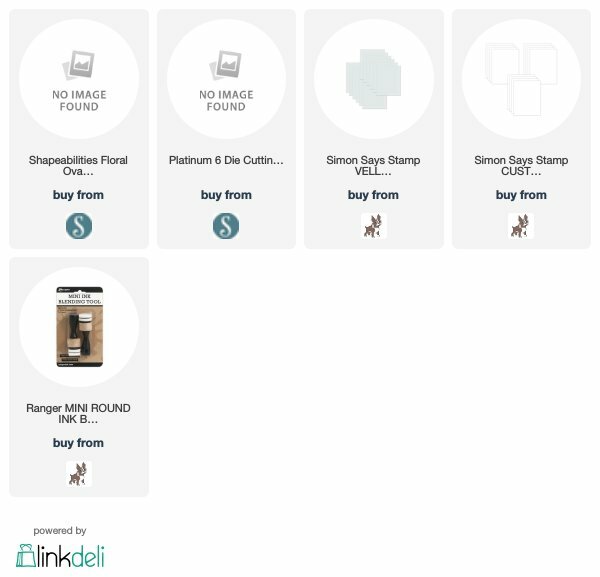 Notice that on each card, there may be different images used from the Embellished Elegance stamp set, only because I wanted to show you all of the beautiful options available. My intermediate card uses the stamped and die cut Autumn Pumpkin once again, but I skipped the die cut and stamped Embellished Elegance images and stamped these images directly on my cardstock base, which was created using the Scallop Stackers: Medium dies combined. I love the tiny bit of Bitty Big Honey Nut paper peeking through the scallops. I used a different "Happy" font from the Embellished Elegance, once again just to show the beautiful, versatile images included. My fun "Autumn" sentiment at the bottom is one of my favorite stamps and is from the Monthly Moments: September collection. My Simple card doesn't use any die cuts at all, it's just a one layer card, letting the gorgeous images in Embellished Elegance enhance the Autumn Pumpkin. Since I wasn't using any die cuts on this card, I used the larger of the pumpkins from the Autumn Pumpkins stamp set, knowing it would take up a bit more of the empty space between my sentiments. You'll notice that I only used one of the dies from the Scalloped Stackers: Medium die collection. I thought I'd never be able to create a one layer card, but I kind of like this :). Simple is very hard for me, but certainly a fun challenge with the Embellished Elegance stamp set! Be sure to visit the Papertrey Ink blog to see what the other designers have created. 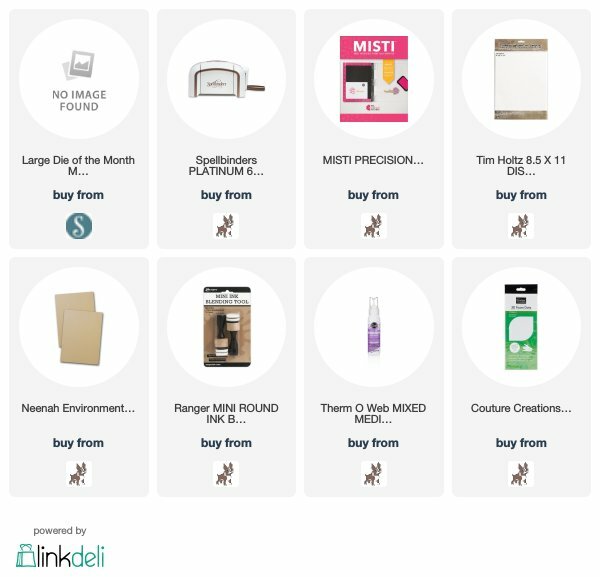 My supplies used are linked for you below. Hello stampers! Just dropping in quickly to share another card created with bits and pieces from the new SAF 2018 Exclusive Stamp Set: Community Garden. I've used the sweet sunflower and leaves from the set on my card....cause sunflowers are my absolute favorite flowers :). I've also used Seasonal Borders: Autumn and Forest Floor: Autumn stamps and dies. I am kinda crazy about the fun, little mushroom found in Forest Floor, so I had to use it today :). My sentiment comes from the Color Pop: Autumn mini kit. More details on the Papertrey Ink blog and all products listed for you below. Enjoy your day! Hello! It's time for Papertrey Ink's Stamp-A-Faire 2018! There are many design team members and passionate stampers meeting at the official LIVE event in Cincinnati and how I wish I could be there, but know it will be a memorable event for all who are attending in person, or online. My card today was created using images from the sweetest set ever....the SAF 2018 Exclusive Set: Community Garden. I adore it and love that so many talented hands went into designing this memorable set. Here is how you can score yourself one of these sets! This set (a $24 value) will be included for FREE with all qualifying orders at Papertrey Ink, starting today, August 24, 7:30PM ET and ending at 11:59PM ET on Saturday (8/25). All you need to do to qualify is place an order of $100 or more (before any applicable shipping charges are applied and after reward points are applied) and Community Garden will be added to your shipment absolutely FREE! No coupon code needed, just place your qualifying order before the deadline and it’s yours! I mixed in the Stitch in Time Borders stamp set and Ocean Tides cardstock to create a landing place for my sweet buckets full of flowers. The sentiment is from another SAF set, designed by Betsy, called Painted Poppy. Read more about the Community Garden stamp set HERE at Papertrey Ink! Good morning! I, along with a couple of other Papertrey Ink design team members, have taken on the latest Throwback Thursday challenge, this time featuring the fun, Ombre Builders. I LOVE this set more now than I did originally and am so glad to have pulled it out again! Since I'm stuck on pumpkins and the darling Grins & Ghouls stamp set, I chose to use my Ombre Builders stamp set to create a Halloween card, using Summer Sunrise and Orange Zest to create my background. The images in Ombre Builders are the perfect size to fit across the center of the Scallop Stackers Small die, which I've used here, cut from Vintage Cream cardstock. I wanted to anchor my pumpkins, so for one of the images from Ombre Builders, I used True Black ink, creating a shelf of sorts for which to place my pumpkins. I then added Corner Adorner: August at the top, with the tiny spider and my sentiment opposite the web and added white shimmer paint to give it a little shine. Lastly, I added sequins, and attached my card front to a Plum Pudding card base, and that was that! 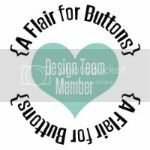 Be sure to see what amazing things the other designers have created HERE....I have gotten a peek and I LOVE their creations and know you will too! Good morning! Welcome to the August blog hop from Spellbinders! Today I am sharing a card created with the Spellbinders Marisa Job Special Moments collection....this line is so beautiful! I've chosen to use the Floral Oval die from Marisa Job, layering on layers of soft colors to create a simple card that looks like it may have taken me hours to complete :)...that's the beauty of these dies! They are intricate but simple to use. My center oval was cut from white cardstock with a block of vellum sandwiched between the oval die cut and a soft pink oval cut to layer behind it. I wanted just a hint of color. My floral vine was cut from patterned paper and my flowers were cut from white cardstock, colored with ink blending in pinks and oranges to bring in the soft color. I embellished the center of each using adhesive pearls. To finish, I simply added seam binding, a cardstock sticker sentiment and gold chipboard hearts. There's so much more to see along this fun hop today...participants are listed for you below. Good morning friends! Today I have the pleasure of introducing you to the new Papertrey Ink, Fence Line: Autumn stamp set and coordinating dies. I ADORE these products and love creating with them. I have used the beautiful, new Bold Borders: Foliage die as the frame around my card, cutting it from Vintage Cream cardstock. This was layered over a patterned paper card base. I then used the Noted Simply Stitched A2 die to create the background for my autumn scene. The pumpkins, wheat stalks, wagon wheel, scarecrow, and crow are all from the Fence Line: Autumn stamp set. The "For You" die cut is from the new Bold Borders: Foliage die, and "Grateful" is from the new Forest Floor: Autumn. On my next card, I the Bold Borders: Foliage die with corrugated cardstock, giving it a textured, dimensional look. I then ran the die through my machine again, using gold glittered cardstock and snipped a few of the leaves from the die cut, adhering them to the original. Inside the Bold Borders: Foliage frame, I stamped images from the Fence Line: Autumn stamp set. I love the ability to build a variety of scenes using this fun set. My sentiment is from the Glorious Globes: Autumn stamp set, with my large leaves from the Forest Floor: Autumn stamp set. Lastly, I created an autumn tag using the new Shape Shifters: Circle 3 die as my tag base. The top layer was cut from Scarlet Jewel with the bottom layer cut from Saffron Spice. Next, I layered on my fence, pumpkins, scarecrow, and wheat stalks, allowing the fence to extend over the edge of the tag a bit for character. I used thew Forest Floor: Autumn stamp set and dies once again to create my tag, adding in an image from the new Seasonal Borders: Autumn as well. All of these items will be available and linked below on the 15th of August at 10PM EST. More to see on the Papertrey Ink blog! Morning! Welcome to another inspiring day of new products from Papertrey Ink. Today we are introducing a couple of my most favorite stamp sets from the August release. My first card uses the new Frame it Out: Many Blessings stamp set and coordinating die. The sweet and intricate wreath around my sentiment uses that new die, while the sentiment comes from the coordinating stamp set. The new Simply Gourd-eaous stamp set was used for my fun, colorful pumpkins and squash. I LOVE how lifelike they are! I also used the new Seasonal Borders: Autumn around the edges of my card, which was created using the new Scallop Stackers Small die. My next card uses the Simply Gourd-eous stamp set and dies once again along with the Frame it Out: Many Blessings stamp set. I used the Mix & Mat: Brackets die and Autumn Rose cardstock to create my focal point. The new Say it Simply: Giving Thanks die was used to form a portion of my sentiment and then the second portion came from the Frame it Out: May Blessings stamp set. I can't quite stop using the darling Scallop Stackers: Small die, so just be prepared for an overload using it :). All of these new products will be available on August 15th, 10PM EST at Papertrey Ink. Today the Reverse Confetti team is celebrating our JEN! She is the heart and soul behind Reverse Confetti and it's her birthday! Follow along as we have a special blog hop just for her. You'll find all of the links below. Love you dear Jen! Enjoy your special day! Hello and welcome to Day 3 of Papertrey Ink's August release. We are celebrating Autumn with today's beautiful products...there's so much to love! My first card uses the new Shape Shifters: Circle 3 die collection. Isn't it just the prettiest image? I love the delicate, intricate nature of it and matted it over Ocean Tides cardstock cut using the Mix & Mat: Postal die. I then used the new Seasonal Borders: Autumn stamp set and dies to create my woodsy, floral scene. I stamped on Kraft cardstock using Americana, Autumn Rose, Cocoa Bean, Ocean Tides, Olive Twist, Plum Pudding, Ripe Avocado, Prairie Grass, and Summer Sunrise. I then used the new Sentiment Staples: Thanksgiving stamp set for my sentiment, stamping on a die cut Wine Bottle Tag #2 die in Plum Pudding ink. My card base was cut from Scarlet Jewel and I used Bitty Bit Honey Nut across the bottom. I love these warm, rich colors together. On my next card, I used the new Text & Texture: Leaves stamp set to create my background. I began with watercolor cardstock and stamped my first Text & Texture: Leaves image in watermark ink and then heat embossed using white embossing powder. I then used the second Text & Texture: Leaves stamp, stamping in Spring Moss and Aqua Mist. Next, I sponged on Summer Sunrise ink to highlight some of the fall leaves. I used the Scallop Stackers Small die next, created the decorative edge behind the leaf background. I framed in my leaf background using Spring Moss ink and the Pierced Feature Frames die. The Paper Clippings: Thankful for You stamp set was used to create the Autumn images in the corners of my card. Lastly, I used the new Words to Live By: Gratitude stamp set and dies to form my sentient, once again using the Wine Bottle Tag #2 die for the second portion of my sentiment. Be sure to stop in and visit the Papertrey Ink blog to see more beautiful projects from the team. Helloooo! Welcome to the weekend and Day 2 of Papertrey Ink's August release. My first card today uses the darling new, Glorious Globes: August stamp set and dies, combined with the new You Make My Day stamp set. The sweet, new Scallop Stackers Small die collection was used to create my card base (so in love with this) and I used the Background Basics: Super Gingham stamp set in Autumn Rose across the top. My sentiment across the bottom is from the You Make My Day stamp set, and is stamped on Saffron Spice cardstock in Honey Nut ink. I used the new Shape Shifters: Circle 3 die to create my focal point, using the Glorious Globes: Autumn stamp set to add in my leaves and berries and tiny globe. The new Say it Simply: Wishing You a Lovely Birthday die was used on my next card. It was cut from corrugated cardstock and I love the little bit of texture and dimension it adds. Once again, I created my card base using the Scallop Stackers Small die and Sweet Blush cardstock. I then added a layer of Bitty Big Spring Moss paper and seam binding before adding on my focal point. The Noted Simply Stitched A2 die was used along with florals from the Botanical Bounty II stamp set (and dies). I used Leaf Prints around the outer edge of my cardstock block and berries from the Glorious Globes: August stamp set. Lastly, I adhered my die cut sentiment and just love how bold it is. More to see on the Papertrey Ink blog. All of these new items will be available on August 15th, 10PM EST. Hi! Welcome to day 1 of Papertrey Ink's August countdown! I'm so happy to be stamping pumpkins and all thing Halloween :)....you're in for lots of fun this month. My first project uses the new Grins & Ghouls and A Bit More Grins & Ghouls stamp sets and coordinating dies. I ADORE these sets! I created a Halloween party favor using the Favor It: Popcorn Bucket die, cutting it from Smokey Shadow cardstock and Bitty Big Smokey Shadow paper. The new Corner Adorner: August stamp set and die were used to embellish the front, where I added my stamped pumpkin. I created a tag for my popcorn box using sentiments from the Grins & Ghouls and the spider from the Corner Adorner: August stamp set, using the Scalloped Tags die. So much fun! The playful, new Scared Silly stamp set and dies were used on my next little party favor. I felt like turning on Monsters Inc. while stamping with this set :). I used a mixture of bright and pastel colors to create my little monster, which is half the fun, and adhered it to the front of my die cut Favor It: Box 1 die. My box was cut from Simply Chartreuse ink and then stamped with the large sentiment found in the new A Bit More Grins & Ghouls stamp set, using Simply Chartreuse ink. I used the Scalloped Tag die once again, attaching the die cut tag and sentiment found in the Scared Silly stamp set. The team has so much more for you to enjoy. Be sure to visit the Papertrey Ink Blog to see more. All of these new items will be available on August 15th, 10Pm EST. Hello my friends! Welcome to the August Reverse Confetti blog hop! Today's hop is going to be so much fun because it's all about patterned paper....one of my most favorite elements. I went with an Autumn color scheme, using paper from both the 6x6 Paper Bliss and Fun Times paper pads to add color across the center of my card. I love how the bright orange and green look on a neutral, Sand cardstock base. I used the Large Eyelet Cover Panel in the background, stamping a subtle design over it using the Elegant Florals stamp set. I then created a focal point using the Pierced Round Top Layers Confetti Cuts and the Pumpkin Patch stamp set and coordinating Confetti Cuts. I brought in a few more florals using the Build A Bunch stamp set and Confetti Cuts. Love this sweet set as it can be used for seasons throughout the year. To finish, I added a junk bow and enamel dots. I'm ready for some Autumn here, how about you? There are so many fantastic designers joining in today, so be sure to follow along by visiting the links below. Hello, beautiful friends! I hope your week is off to a great start so far. It's our last week of summer vacation here....school starts next week and I have mixed emotions about that whole thing :). I love the routine, my daughter is so happy to be at school socializing and being involved, but I surely miss her and her company. She's my light! My card today uses the gorgeous Large Die of the Month from Spellbinders Kit Club...it's so intricate and lovely. I just love everything about it! The kit includes 4 different dies and I've used all of them on this card. I cut each from white cardstock and then added color using a bit of ink blending. I used Scrapbook Adhesives foam squares to add dimension and depth, and adhesive pearls to add a little shine. My sentiment is from the older Garden Variety stamp set from Papertrey Ink. I'll be back with more very soon. Thank you for visiting! Morning! Welcome August, huh? I love this month because it means Fall is cruising closer :). My card today was created for Papertrey Ink for their Throwback Thursday feature and this week we're revisiting the beloved Ruby Rose stamp set and dies. I used the Shape Shifters: Square 2 die to create my focal point, where I stamped my sentiment and attached my Ruby Rose blooms. I LOVE the mixed fonts and flourishes used in this set for the sentiments....dressed up the simple flowers so beautifully! I also used leaf images from the Sunflower Harvest stamp set. I stamped in Aqua Mist, Pale Peony, Lilac Grace, Spring Rain, Spring Moss, Mint Julep. Sweet Blush, Summer Sunrise, and Harvest Gold ink. I thought the sentiment was so beautiful, I stamped it across my card base as well, using Aqua Mist ink, and love the fun background it created. There's more to see on the Papertrey Ink blog! Thanks so much for visiting. Enjoy your day.